BDI50 Inverter Series Concentrate All The Characteristics Required By Modern Industrial Processes In A Single Compact Product. At The Same Time BDI50 Series Comply With The Typical Needs Of Installers And System Integrators Who Require Forefront, Practical Solutions That Are, Above All, Advantageous In Terms Of Space, Cost And Simplicity Of Use. 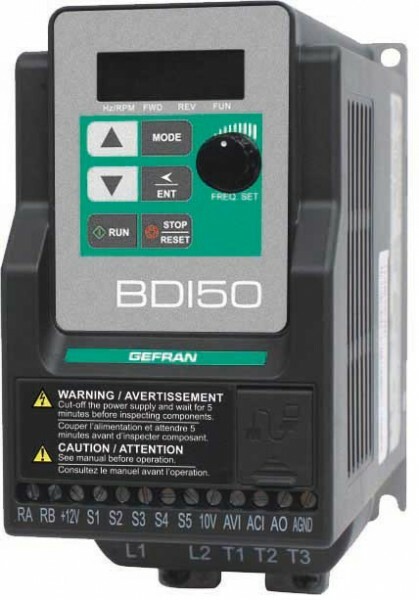 The BDI50 Is Simple And Powerful And Provide Maximum Flexibility In Machine Integration Through Standard And Optional Fieldbus Compatibility. User Friendly Interface And Easy Operation Make BDI50 The Right Solution For Every User And For Multi-purpose Applications.